We’ve all heard of the man. Now get ready for the restaurant. 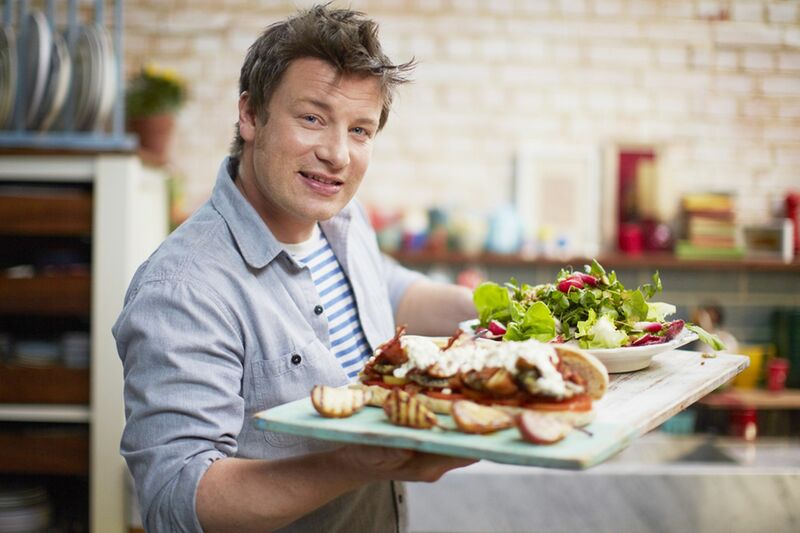 English celebrity chef and restauranteur Jamie Oliver, who is known for his food TV shows and cookbooks, is bringing his largest restaurant chain – Jamie’s Italian – to Taiwan next year. According to William Lyon, the CEO of Big Cat Group, the company that first introduced Jamie’s Italian to Hong Kong, Jamie’s Italian will open in Taiwan in 2016, with Taipei being the possible location. The first ever Jamie’s Italian restaurant was opened by Oliver and Oliver’s mentor, Italian chef and restauranteur Gennaro Contaldo, in Oxford in 2008. The duo began with the idea of creating an accessible and affordable restaurant where customers can enjoy authentic, rustic dishes using tried and tested recipes with a current and Jamie twist. Each restaurant is uniquely designed to incorporate not just the history of the building but also the personality of the city, creating “an environment where the focus is on exceptional food, good company and the relaxed conviviality of the ‘Italian table'”. There are now fifty-one Jamie’s Italian sating the hunger of food connoisseurs globally, with three stores in Asia – one in Singapore and two in Hong Kong. From the looks of every Jamie’s Italian opened so far, we can safely expect a lavish interior with open kitchens, where customers can observe chefs cook with fresh, sustainable ingredients in a casual setting. What’s more, seasonal menus and great authentic Italian food are some things we can look forward to. Big Cat Group has the right of management of Jamie’s Italian chain in Hong Kong and says it will also be looking to expand to China. Hong Kong Jamie Oliver perhaps is the worst Jamie I tried over the world. Singapore and Dubai and Australia are all better. If the Taiwan one is going to run by the Hong Kong restaurant I will not try. Totally agree. The Hong Kong Jamie Oliver is the one “creatively” localised the menu. I saw this Chinese New Year menu with fish and rice and Asian dessert. This is hilarious. I am a fan of Jamie as a chef and I feel when he cooks Asian cuisine, at least he is cooking decently. Not steam fish in an ITALIAN restaurant. I am sure when they run the Taiwan restaurant, they will serve Xiao Lung Bao on plank or oyster pizza which try to drive you nuts. Jamie Oliver HK daily taking now is only half of opening. No need to book and can walk straight in and get table. Chief chef changed three times in 2 years. High staff turnover. Average staff tenure is less than a year. Look like the restaurant is in life support mode. I heard that they don’t open new restaurant in Central. This is just how bad the business is running. They also lower food quality I believe they change food supplier for lower price, which can tell from taste. Meantime at least three staff managed to drop or break something. One waiter dropped a bunch of the cups used for serving fries. Rather than send them back to be washed he just cooly stacked them up again. The staff appeared at best incompetent. 20 minutes later the fries appeared on the table (now been waming for 30 minutes) and they got sent back. Burgers appeared on the warming counter 10 minutes later (so 70 minutes after we ordered them) with staff apparently clueless as to what to do with them. I was so annoyed at this point that I went and got them myself. Not sure if they were the original burnt burgers as they’d been grilled to a cinder and were virtually inedible. No burger bun, all three were in stale ciabatta. Oh – and the spaghetti and meatballs had disappeared and took the staff 5 minutes to locate. The manager didn’t charge us. I would have refused to pay anyway. If Jamie Oliver knows his name is being put to this abomination he should be ashamed. Just have lunch with my family of 4. Have “hair” inside my kid’s ordered dish, informed the staff and she just took it away without saying anything. Glasses placed upside down ( I believe that ‘s the standatd way they set the table) but they should have ensure that the table must be clean in order to do this. As the rim of the glasses were stuck with some ‘bread crumbs’ or ‘grated cheese stuff’, who will dare to use it. The so call ” Fresh Crabmeat linguine” tasted extremely fishy. I have informed the staff there, again, they just removed it and then replied that ” the taste is like that’ and they have tried. Come on, if it was the truth, obviously they used DEAD crabmeat instead of what they called “fresh”. For sure will not ho there again!!!! Compare to The Bread Street Kitchen in Central, price is more or less the same but the standard of food , the restaurant environment and the staffs are much better there then in Jamie’s . The HK team is surrounded by useless chap – bs CEO who run IKEA and KFC and what can you expect him to run Italian restaurant? he know nothing on F&B and 99.99 of his ideas are misfire. Chinese menu, breakfast, all flops. Poor investors sinking money into this company believing he can make a fortune. Poor Jamie letting him to ruin the name.